And we already know it’ll be adorable. As the summer holidays draw to an en, children all over the nation are all gearing up for their first day of school as parents heave a great sigh of relief that they no longer have to come up with dramatic ways to keep them occupied. (There’s only so many times you can watch Frozen before your mind melts to mush.) One famous family in the same boat is Prince William and Kate Middleton’s brood, as Prince George will be returning to school on September 6. There was a lot of hullabaloo over Prince George’s first day of school last year, as it was his first in a new school and his mother Kate Middleton unfortunately couldn’t be there to see him off. She was pregnant with Prince Louis and struggling with pretty extreme morning sickness, something that’s she’s had to contend with throughout all her pregnancies. However his dad Prince William came along to do the school drop off, walking him in as he trotted along in a slick navy uniform. 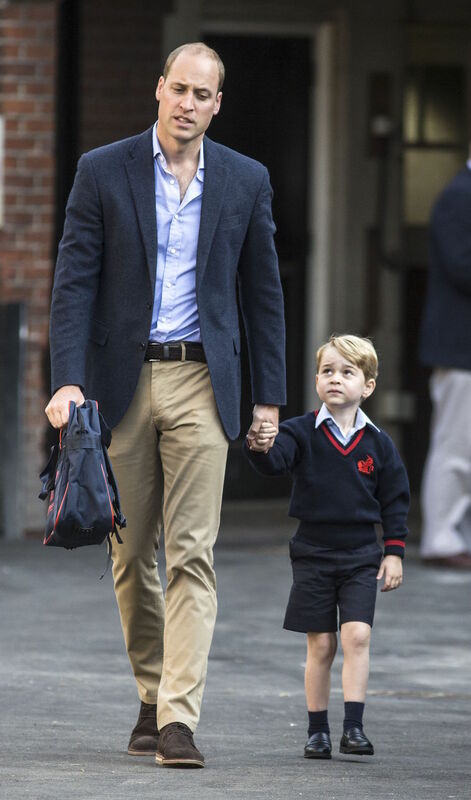 As for how Prince George feels about school? Apparently, he’s kind of over it. TBH, we were too at that age. This year though, Kate Middleton might actually be able to join her husband and Prince George (who goes by ‘George Cambridge’ at school) for the first day of school drop off on September 6. We’re already excited for the cute photographs. The post Kate Middleton could make Prince George’s very big day after missing it last year appeared first on Marie Claire.